Below you can view all the homes for sale in the Kennedys Highland subdivision located in Denver Colorado. Listings in Kennedys Highland are updated daily from data we receive from the Denver multiple listing service. To learn more about any of these homes or to receive custom notifications when a new property is listed for sale in Kennedys Highland, give us a call at 720-729-2320. Fully Finished basement w/ PROJECTOR & FULL BDRM. WONT LAST! MLS#8032594. Resident Realty Colorado. Easy Access to Speer Blvd, I-25, I-70, and 6th ave. You won't want to miss out on this opportunity! ! MLS#9450067. Keller Williams Integrity Real Estate LLC. Possible development opportunity. Downstairs bedroom is nonconforming. MLS#2712854. HomeSmart Cherry Creek. This Is An Affordable Housing Home, With Income Restictions And Purchase Must Be Approved By The Denver Office Of Economic Development. MLS#3598442. Your Castle Real Estate Inc.
Live the best of the Highlands! MLS#8609025. RE/MAX Professionals. 5 minutes to river bike trail, 30 minutes to Fiddlers Green and Red Rocks. MLS#3371088. HomeSmart Cherry Creek. 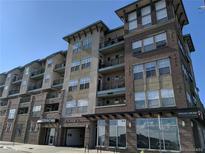 In addition to its fabulous location, this unit provides two reserved garage parking spaces and a large storage unit. MLS#5702645. USAJ REALTY. Close To All The Best Restaurants, Coffee Shops, Boutiques & Easy To Get Downtown Or Head Up To The Mountains! MLS#4434882. COLORADO REALTY GROUP. Enjoy city living with all the comforts this house has to offer! MLS#4724859. Maxim Properties. New windows through out, new interior and exterior paint. Home Warranty included! MLS#7870845. Modern Real Estate. Come see this LoHi architectural gem and carry on its legacy! MLS#6846159. Generator Real Estate, LLC. A must; drive by and see home's $900K to 1,900,000 MLS#9941944. US AMERICAN HERITAGE RE CO LLC.